Dill at the Daddy's Gourmet herb farm in Arizona. Like any plant, the fresher it is the more powerful its health benefits. Those benefits for dill are impressive. Containing monoterpenes and flavonoids (antioxidants), calcium, fiber, iron and magnesium, dill is potent. The antioxidants in dill protect against free radicals and carcinogens. According to The Complete Guide To Natural Healing, by Tom Monte, dill is rich in antioxidants which can reduce damage to the lungs from "cigarettes, airborne pollutants and high-fat diets." Research suggests that harm to the lungs from cigarettes is compounded by a diet rich in saturated fat and cholesterol. Dill is noteworthy as a herb that heals. Delicious on salmon made with a touch of olive oil. From reducing bone loss to fighting bacteria overgrowth -- as garlic is also known for -- dill is a plant to consider using a lot more. Fortunately, dill is a delicious ingredient to incorporate into cooking. With Daddy's Gourmet Dill Pickle, infused with Black Hawaiian sea salt -- which has detoxification properties -- this is an impressive addition to your spice cabinet. Daddy's Gourmet dill and almond butter and honey from Fat Uncle Farms - both on Treatmo. Fresh spices available in the Daddy's Gourmet store on treatmo. Order now for local pick up or shipping. 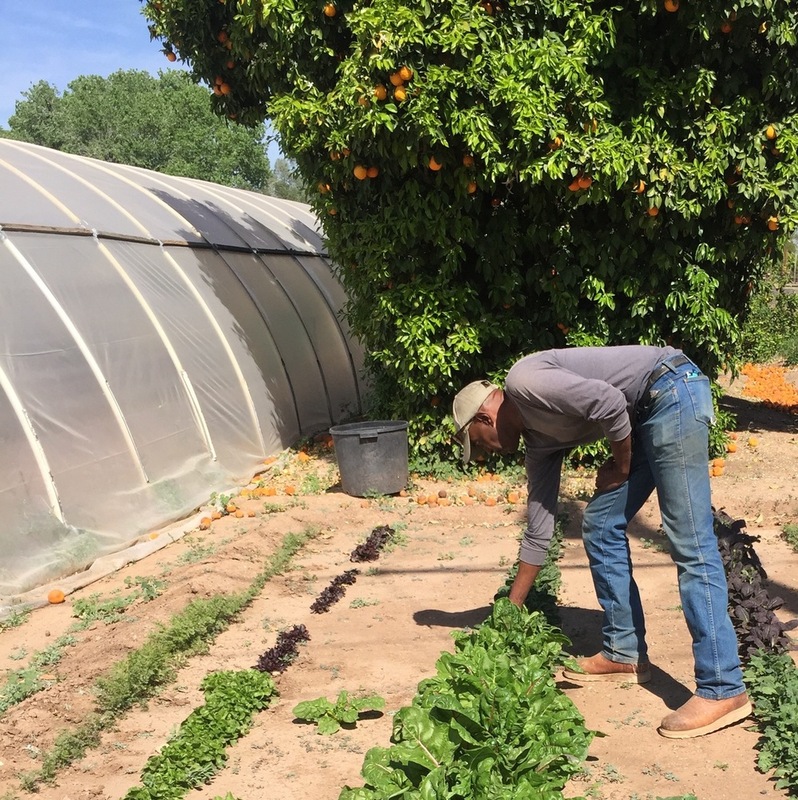 Dewayne in the garden at his Arizona herb farm. Have the app? Tap below to order now. Android on the way. Searching for salmon nearby that's prepared in a minimalistic style? Try Juicery Kitchen for macrobiotic food in Brooklyn. Pay with your phone and earn rewards on Treatmo.